Anti-Jewish attacks: 541 (an increase of 74 per cent). Anti-Muslim attacks: 100 (Lowest in 9 years). More of this below the fold. Nobody is stopping Chair from taking immigrants into her home. 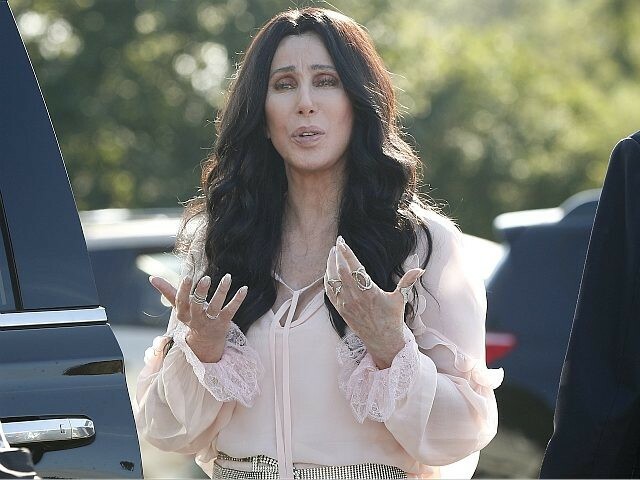 Pop icon Cher said Sunday that Los Angeles, California, “can’t take care of its own” residents, much less newly arrived illegal and legal immigrants.Cher said she failed to understand how the city of Los Angeles in the sanctuary state of California could afford to admit and take care of any more immigrants when city officials have failed to care for homeless, veterans, and poverty-stricken Americans. It now emerges that Begum pointed an automatic weapon at women in Syria for “wearing brightly colored shoes”. She also stitched bombs into suicide vests to ensure they exploded when taken off. This is the woman leftists want to return to the UK. But now we learn that she “was witnessed preparing suicide vests for would-be martyrs” and “served in the terror group’s ‘morality police’ and had worked to recruit other impressionable women.” She “was permitted to carry a Kalashnikov rifle while going about her duties as an ‘enforcer,’ imposing the IS laws around dress code.”“War is deceit,” said Muhammad (Bukhari 4.52.268). More on this below the fold. The French gov’t denies this. Peirce, 79, of legal firm Birnberg Peirce, replaces Tasnime Akunjee, who had been working pro bono on the family’s behalf since Begum fled to Syria in 2015. 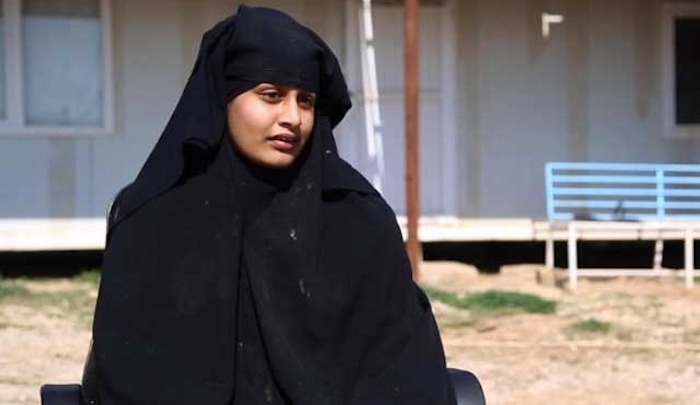 Mr Akunjee, whose attempt to meet Begum in Syria last month was blocked by the Syrian Democratic Forces (SDF), said the case was handed over because Peirce has the “legal aid contract to do the work” suggesting that the family has successfully applied for financial aid to appeal Sajid Javid’s decision to strip Begum of her British citizenship. Yes – you read that right. 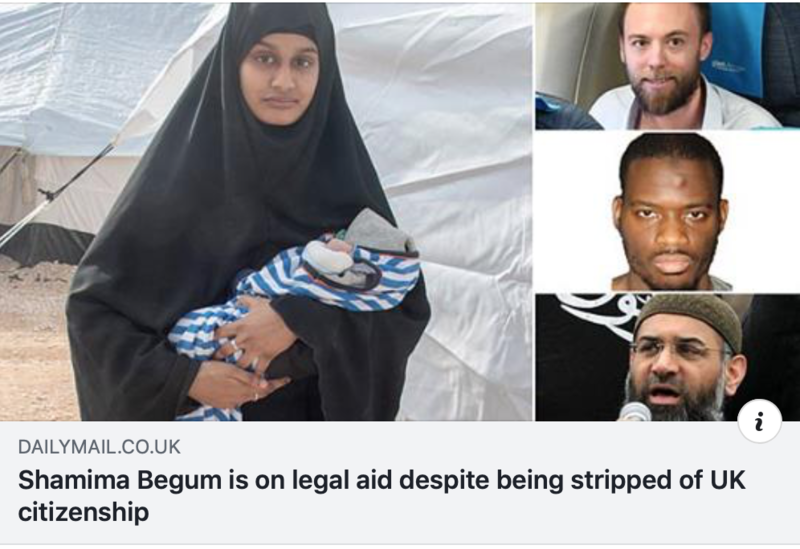 If legal aid has been granted our taxes will line the pockets of one traitoress as she works to restore the privilege of another traitoress. Nice work if you can get it. I wonder what dirt Jean Jeanie has on the current Secretary of State for Justice or whichever of his minions granted legal aid. It’s times like these that not only am I glad I didn’t continue into the profession, I’m glad I was thrown on the scrap heap of early retirement from MoJ. Begum’s family is understood to have lodged a request for a judicial review to challenge the decision. An appeal to the Special Immigration Appeals Commission is said to require Begum’s signature.